Finally getting back to some beer reviews and starting with my 500th beer. 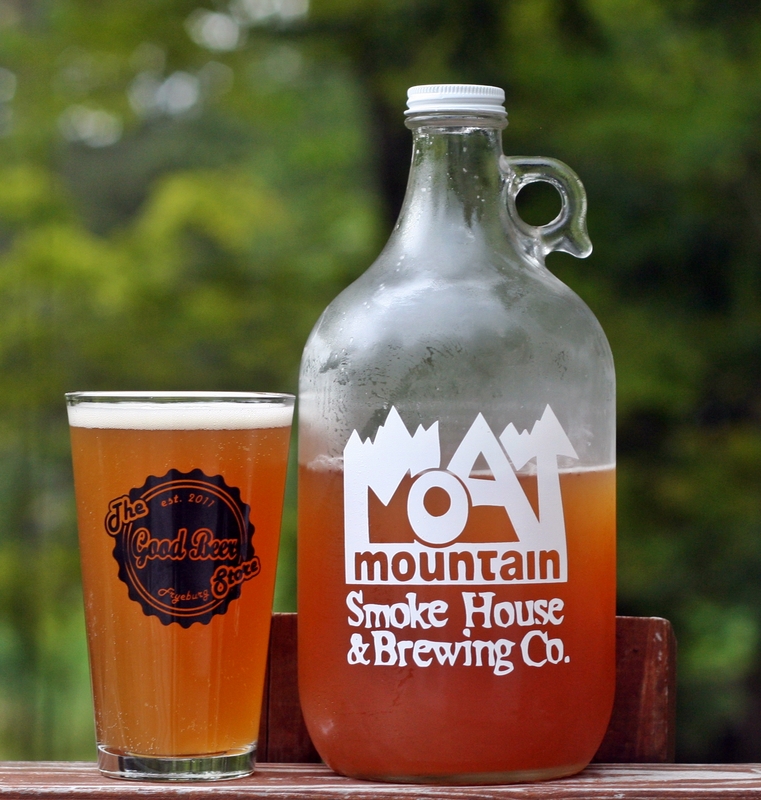 This one comes from Moat Mountain in North Conway New Hampshire and is their hefeweizen. I tried quite a few hefeweizens this summer with the highlight being Rising Tide’s Spinnaker. This one from Moat comes in a close second. This beer is a cloudy orange color with a very thin white head that dissipates quickly. Aroma has lots of wheat and some spices. Both are what you would expect from a hefeweizen. Taste is very nice, slightly sweet and plenty of wheat with only a hint of banana and spice. Finish is clean and leaves you wanting more. Hoffman Weiss is an excellent choice with a meal or all on its own. I’ve had lots of fun building my blog over the past two years and hope you will continue to follow and share my posts for the next 500 beers. Brewers Description: A traditional Bavarian-style wheat beer, it is a unique unfiltered golden beer with both a fruity and spicy flavor profile derived from the traditional Bavarian yeast strain that is used. It has a low hop bitterness yet is big on flavor. Some serve with a lemon slice. Available year-round.